Not available to join us for these events? 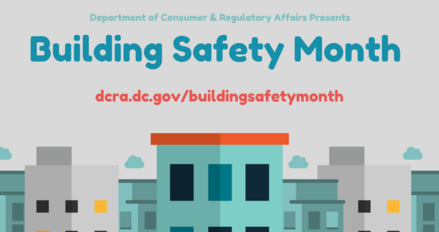 Please be sure to check our website dcra.dc.gov/buildingsafetymonth for a full list of Building Safety Month events. If you have any questions regarding this email, please contact DCRACommTeam@dc.gov.